We’re joining forces with Sandi MacIver’s Happy Stampers for our Happy Inkin’ Thursday Blog Hop again this week! 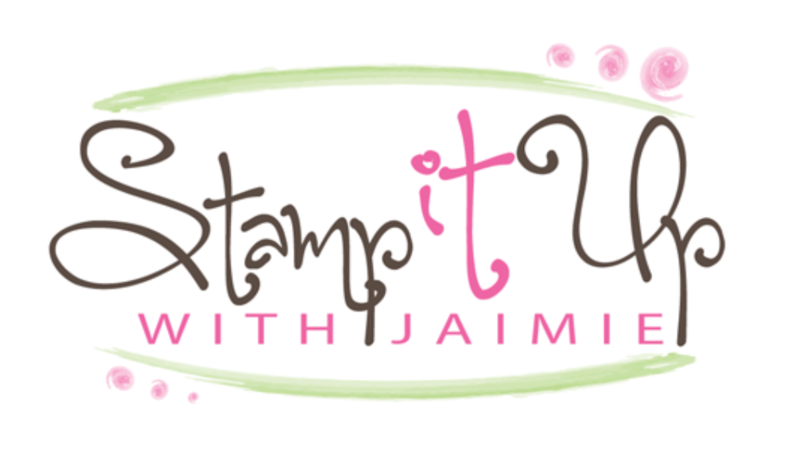 I pulled out the Stampin’ Up! Beautiful Promenade stamp set and the Chase Your Dreams Framelits Dies to create my project. I started by stamping the flower and leaf images from the Beautiful Promenade photopolymer stamp set in VersaMark Ink on a panel of watercolor paper. 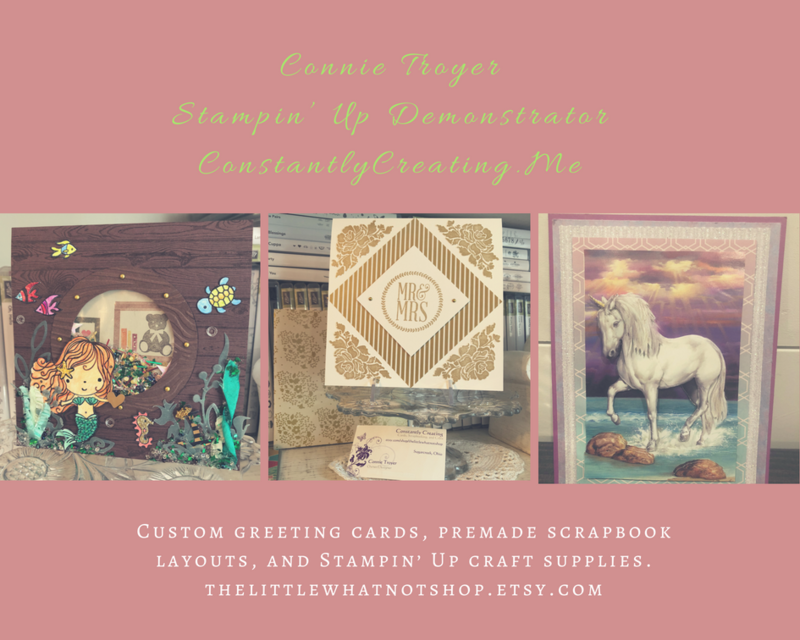 I sprinkled the images with White Stampin’ Emboss Powder and then used an Aqua Painter to add Fresh Fig, Pear Pizzazz and Bermuda Bay inks to the images. Once the image had dried, I inked the lined flower image from the Beautiful Promenade stamp set in Fresh Fig ink, stamped it on scrap paper once and then stamped it over the embossed flowers. I wiped away the excess ink with a paper towel and then adhered the stamped panel to a panel of Pear Pizzazz card stock with Multipurpose Liquid Glue. I cut a panel of Whisper White card stock with one of the Delicate Lace Edgelits Dies, snipped of the excess and then adhered it with Multipurpose Liquid Glue to to a Fresh Fig card stock. I adhered the watercolor panel to the card front with Multipurpose Liquid Glue and then wrapped a strand of Linen Thread around the top of the card and tied a bow. I cut a panel of Champagne Foil Sheets with one of the Chase Your Dreams Framelits Dies and I adhered the die cut sentiment to the watercolor panel with Multipurpose Liquid Glue. I added one of the Share What You Love Artisan Pearls next to the sentiment to finish the card front. I stamped the flower images from the Beautiful Promenade stamp set in Fresh Fig and Pear Pizzazz inks on a panel of Whisper White card stock on the inside of the card. The lined image was stamped off once before stamping it on the panel. This entry was posted in For a Friend, For You and tagged Beautiful Promenade, CAS card, Follow Your Dreams, for you card. Bookmark the permalink. What a gorgeous card, Amy! I have to make one of these!! Lovely card Amy. Your coloring is fabulous. Love the lace border. Easy to over look this foler in the catalog. Stunning. Absolutely stunning. Your watercoloring is so pretty! And that die cut “dream” is the perfect touch. Lovely choice or colors, the edging is perfect. Oh my, this is stunning. You are so creative! I love EVERYTHING about it. Loving this card… the lace die is so pretty. Your colouring is bang on…stunning. WOW Amy, this is so beautiful!!! I love your watercoloring!! And I just adore that stamp set you used I need the Delicate Lace dies in my life!